Legendary filmmaker Hayao Miyazaki – an animation god, and a remarkable storyteller beyond that – has just released his latest film, The Wind Rises. The reviews have been excellent (some of them have been outraged, but that’s okay. Outrage is not a bad thing for an artist to generate), but what has begun making the headlines is the fact that Miyazaki has announced it’s his last film. He’s retiring. It’s not a surprise he’s retiring, to anyone who follows Studio Ghibli news with any particular attention. Miyazaki is seventy-two years old, and he has long had difficulty with both his eyesight and his drawing hand, in which he has a lot of pain. It was talked about well before the announcement was made that this was probably the last film from him (and fellow Studio Ghibli master director, Isao Takahata). It’s a very sad announcement indeed. 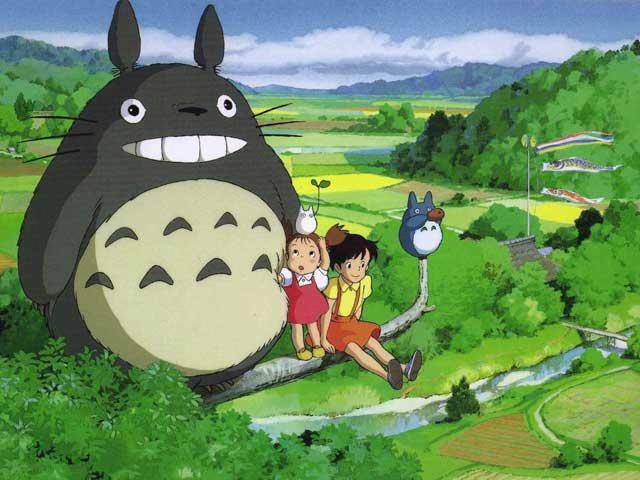 Miyazaki’s body of films – including works like My Neighbor Totoro, Spirited Away, and (my personal two favorites) Princess Mononoke and Porco Rosso – are game-changing. The world of modern animation is having a bit of a golden age, between the astonishing films of Pixar, the amazing films of Laika House, not to mention Dreamworks and many others besides…and all of them owe enormous debts to Miyazaki. But that said, if he actually is retiring…I say good. That is good news. The funny thing is that even though he’s a filmmaker, I tend to think of Miyazaki’s works with the same part of my brain that thinks about books all day every day. Partially because I pour through Miyazaki’s book, Starting Point (a compendium of articles, interviews, thoughts and opinions, a sort of hodge-podge biography) the way other people might pour through a Bible. So let’s take this into the book world to think about, since books are what we do around here anyway. Let’s think about how rare and odd a thing it is, for someone to quit and actually remain retired when they do so. Stephen King has retired several times, but despite his retirement status, he’s turning out a staggering amount of work, and it’s excellent work too. So that’s all right. But for every Stephen King, there’s a Richard Matheson, for one, or a Ray Bradbury. Bradbury was master writer, and in fact you could draw some interesting comparisons between the work of Ray Bradbury and Hayao Miyazaki, although Bradbury lacked Miyazaki’s clear-eyed suspicion of nostalgia. Ray Bradbury kept writing on and on, publishing pieces, pretty much up until his death last year. The problem is that a lot of it wasn’t all that good. Old drafts, pulled out and finished. Short stories that felt like Bradbury-pastiche stories. Past a certain point in time, I’m sad to say I stopped reading Bradbury’s nonfiction, because each introduction and article was more or less the exact same set of metaphors and reminiscent bits about his childhood. There was nothing there…but there was the legendary name Ray Bradbury, and that was enough to make the books keep coming. Harlan Ellison, like Miyazaki, announced he was retiring and seems to have meant it. He seems to have put the vitriol back in the well and hung up his typewriter. I can think of very, very few other artists who have known when they should stop and have done so. I can think of plenty who perhaps should have, but didn’t. Writing (and filmmaking, for that matter) isn’t at all like sports, where you hit a certain age and you are physically unable to be a benefit to the team and you pretty much have to retire. With art, you can keep going ’til you drop, or ’til you quit. Quitting is the choice that takes tremendous courage, and must be awfully difficult. To say I am producing good work, but from here on, I’m not confident in my ability to do so and then to step away, which is basically what Hayao Miyazaki has done…that’s remarkable. That takes a level of courage, honesty, and perspective that I don’t think most of us could muster. I mean, I don’t think I could do it. I don’t think I could say I do not want to produce bad work and declare myself all done. Most artists can’t, and most of them don’t. Imagine if they did? To produce a remarkable body of work and then know that now is the time to step away, before your exhaustion and lack of focus is preserved on the page for future generations to see. We cannot help but chart our own declines across the pages, across the screens. So I want to salute Hayao Miyazaki, if he truly is retiring (and who know if he is; he is obsessively in control and he works a tremendous amount. I seriously doubt he can step entirely away from that, not even at 72). I wish I had his talent, his work ethic, and perhaps also his courage, his ability to stop when the work is good. It’s something I suspect most of us would fail to manage, but something important to think about nonetheless. I am typing this while wearing a t-shirt with a TOTORO on it.